Ultraspin is an engineering company that specialises in the design and supply of high performance oily water separation systems. 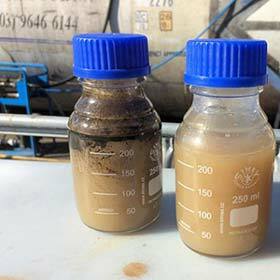 Our sole focus is oily water which is why we have a high degree of specialist knowledge in all forms of water contaminated with oil, fats and grease across many industries. Ultraspin invented the use of hydrocyclones in Industrial oil water separation systems and most of our systems use this technology. We export to many parts of the world including Southern Africa, Asia and Europe. We are the largest oily water equipment supplier in Australia. 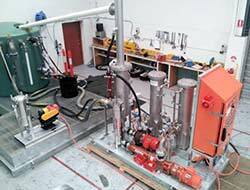 Ultraspin employees have been designing and supplying high performance oil water treatment systems for over 35 years. In 1983 our Engineers designed the worlds first oily water separators using de-oiling hydrocyclones. These systems became standard practice world wide for treating produced water on off-shore oil and gas production platforms. In 1993 Ultraspin developed the worlds first industrial oil water treatment system using hydrocyclones. Theses industrial systems incorporated our patented technology that included oil skimmers, separators, strainers and oil collection tanks. Based on our philosophy of continual improvement we have racked up an impressive number of ‘firsts’ with our separator technology. 1993 worlds first cyclone based oil water treatment system used on Oil Company fuel depots and petrol gas stations. 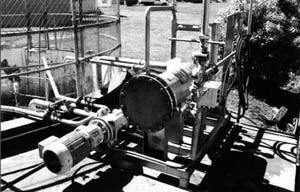 1994 first cyclone based system treating Mining Industry oil water effluent. 1995 worlds first cyclone based oil water removal system in the Dairy Industry. 1996 first cyclone system treating Meat Industry effluent water allowing tallow and fat recovery. Our production facilities and office are located in Wadhurst Drive, Boronia. Our facilities provide areas for warehousing and parts storage, light and heavy assembly as well equipment maintenance and repair. All equipment we manufacture is tested in our wet testing bay prior to delivery. 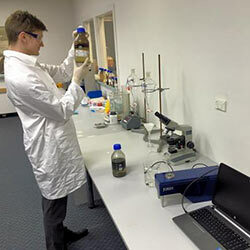 Ultraspin’s team of employees are experienced and knowledgeable in oil water treatment. Oily water is a highly specialised area of the water treatment industry and Ultraspin is fortunate to have Engineers with an average of over 10 years experience in this industry alone. 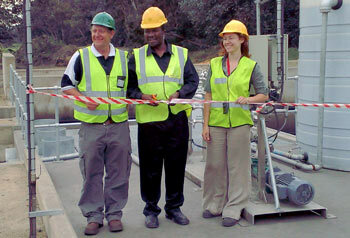 We have qualified Engineers in all all major disciplines including Mechanical, Chemical and Environmental Engineering. This technical capability is spread across all company activities including Sales, Applications Engineering, Field Support, Production, Process design and ongoing Research and Development. All Ultraspin products are designed in house. 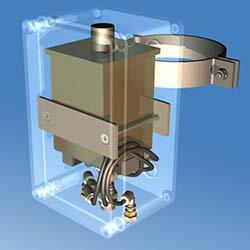 We have advanced capability using AutoCad, Solidworks and Inventor. This capability enables us to produce a wide variety of drawings including production of schematics, Process Flow Diagrams (PFD), Process and Instrumentation Diagrams (P&ID), Isometrics and piping layouts, Structural designs, Site Layout Drawings, General Arrangements 2D and 3D, and a variety of Electrical Drawing. We are experienced and proficient in the design of equipment skids, structures, piping systems, and pressure vessels to a wide variety of international and client specific standards. We have modern office facilities that caters for 40 office employees. We test all equipment in our factory prior to delivery. It is a wet facility that can generate oil water mixtures of known oil droplet size in real time. This wet area is used for formal Factory Acceptance Testing (FAT’s) of our equipment. It can also be used for performance testing according to the comprehensive ANSI oily water test protocol standards, and we can test to the free oil recovery European EN-858 standards. We also use this area for ongoing research and development. Nicole is our Account Manager for our South African Distributors – Procon.